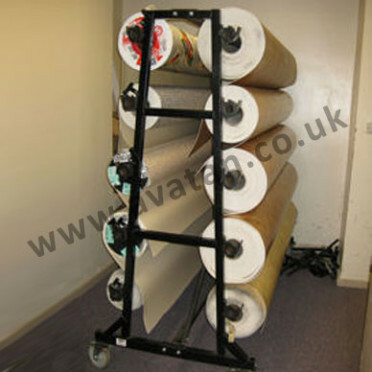 Vinyl display stand, for shop fitting and point of sale storage of vinyl flooring rolls. Single and double sided vinyl dispenser racks. Static and mobile display stand options. 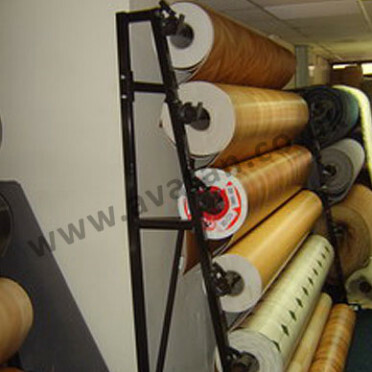 For storage and handling of up to 10 vinyl rolls per stand. Mounted on optional castors.